The President’s annual budget proposal, which requires Congressional approval, also axes NASA’s Office of Education, a telescope, and five Earth science programs. NASA's 2019 budget request formalizes the agency's handover of human-spaceflight activities in low-Earth orbit to private industry, in favor of a shift toward the moon. The budget request, which was released February 12, allocates about $19.9 billion to NASA, an increase of $370 million over last year's request. The proposal zeroes out funding for the International Space Station (ISS) in 2025 and allocates $150 million "to encourage development of new commercial low-Earth orbital platforms and capabilities for use by the private sector and NASA," according to the agency's budget overview. The newly unveiled request gives some more details about NASA's plans to return astronauts to the moon, a focus that President Donald Trump made official with the signing of "Space Policy Directive 1" in December. 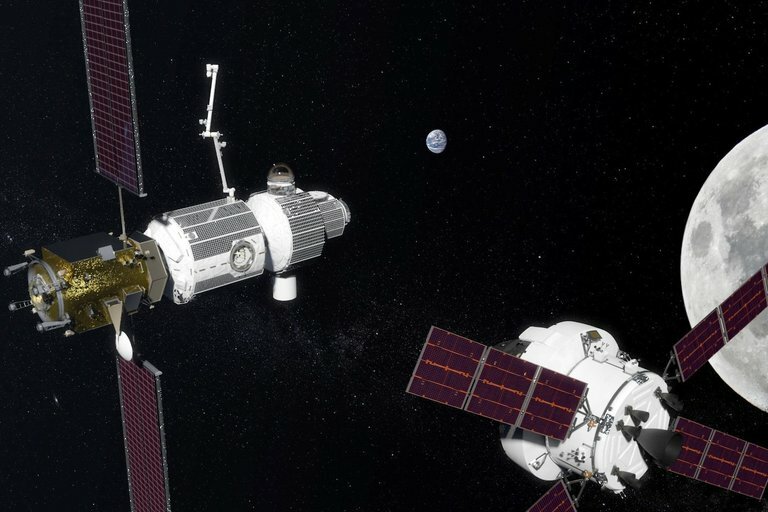 If all goes according to plan, the agency will launch a "power and propulsion space tug," a component of NASA's planned outpost in near-moon space, in 2022. And astronauts will launch on a mission around the moon, using the agency's Orion capsule and Space Launch System megarocket, in 2023. The budget request "reflects the administration's confidence that America will lead the way back to the moon and take the next giant leap from where we made that first small step for humanity nearly 50 years ago," NASA acting administrator Robert Lightfoot said today in a "State of NASA" address at the agency's Marshall Space Flight Center in Alabama. On the science side, the budget continues support for high-profile planetary missions, such as the life-hunting 2020 Mars rover and Europa Clipper, which will investigate the habitability of Jupiter's ocean-harboring moon Europa. But the proposed budget would cut the agency's planned Wide Field Infrared Survey Telescope (WFIRST), which was targeted for launch in the mid-2020s to study mysterious dark energy, alien planets, and a range of other cosmic phenomena. WFIRST was the top-priority large project in the most recent US National Research Council Decadal Survey of Astronomy and Astrophysics, which came out in 2010. WFIRST's cancellation is "due to its significant cost and [the presence of] higher priorities within NASA," according to the budget overview. The budget also confirms the cancellation of five Earth-science missions proposed for termination last year. It provides no funding for the Plankton, Aerosol, Cloud, ocean Ecosystem (PACE) satellite; the Orbiting Carbon Observatory-3 (OCO-3) experiment; the Climate Absolute Radiance and Refractivity Observatory (CLARREO) Pathfinder; the Radiation Budget Instrument (RBI); or Earth-viewing instruments aboard the Deep Space Climate Observatory (DSCOVR), a National Oceanic and Atmospheric Administration/NASA spacecraft that launched in 2015. NASA's Office of Education also gets the axe. The budget request is just a proposal; it must still be approved by Congress. And there may be some changes coming, if the reaction of US Sen. Bill Nelson, D-Florida, is any guide. "The administration's budget for NASA is a nonstarter. If we're ever going to get to Mars with humans on board and return them safely, then we need a larger funding increase for NASA," Nelson said in a statement, according to the Miami Herald. "The proposal would also end support for the International Space Station in 2025 and make deep cuts to popular education and science programs," he added. "Turning off the lights and walking away from our sole outpost in space at a time when we're pushing the frontiers of exploration makes no sense."